Several of the photos are done by Jerry Vavra Photography 503 897 3384 I have had him take my candid shots for over 26 years. Home of Top Quality Shibas ,Where Temperament and Quality go hand in hand. ( American Kennel Club) I have shown and owned Dobermans and Collies before settling on the Chow Chow for over 24 years. Today altho I have resigned as a AKC judge for the Shiba Inu and Chow Chow, Bulldogs,Shar-Peis, Schipperkes, Dalmatians,Bichons Frises and the Toy Fox Terrier. I am still very much involved in the Shiba Inu. Having understood the complexity of a poor temperament I felt that if you could not live with a dog, it didn't matter how beautiful it was, and so it became a must for me to breed only sound minds and sweet temperaments in my Chow Chows. I have taken that same idea on to the Shiba Inu. I became very well known in the World of my dogs, having owned the number 1 Stud dog and number 2 all breed Chow Chow in 1984. He went on to be in the back ground of many of today's top winning Chow Chows. When I first became aware of the Shiba Inu, I like many others before me said, What is that? it looks like a fox! How many times I have heard that same thing since then! I received my first Shiba ( Willow) in 1988 who became my heart dog of all time. In 1990 I worked to gain AKC recognition for the breed since at that time they were only considered a rare breed. With the help of a few others we gained that goal and I have not looked back. 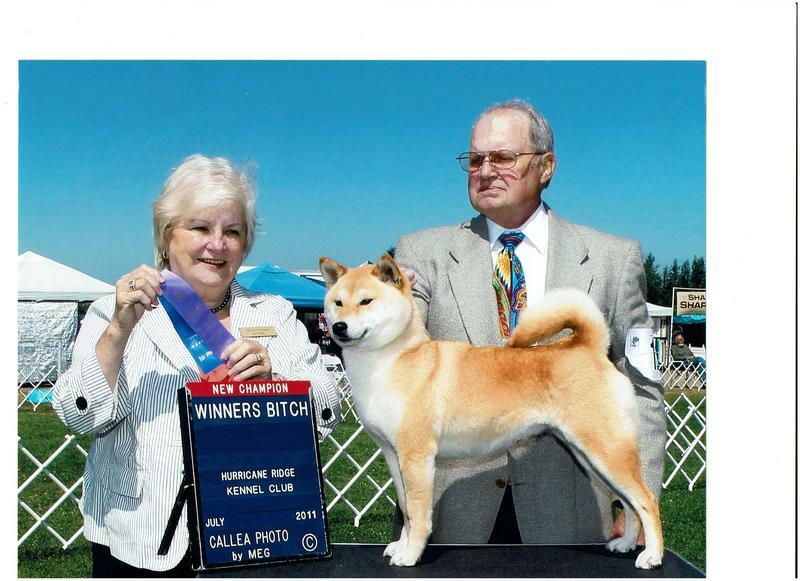 Since the Shiba has came into AKC I have bred over 60 champions including the only Male American Bred National Specialty winner from 1992 to 2007 And the 2010 and 2012 Top 20 winner!